After managing to get lucky and find a nice female A. Opacum earlier in the year when they were extremely hard to come by some more became available a couple of hours away so I'm picking up another two this weekend. 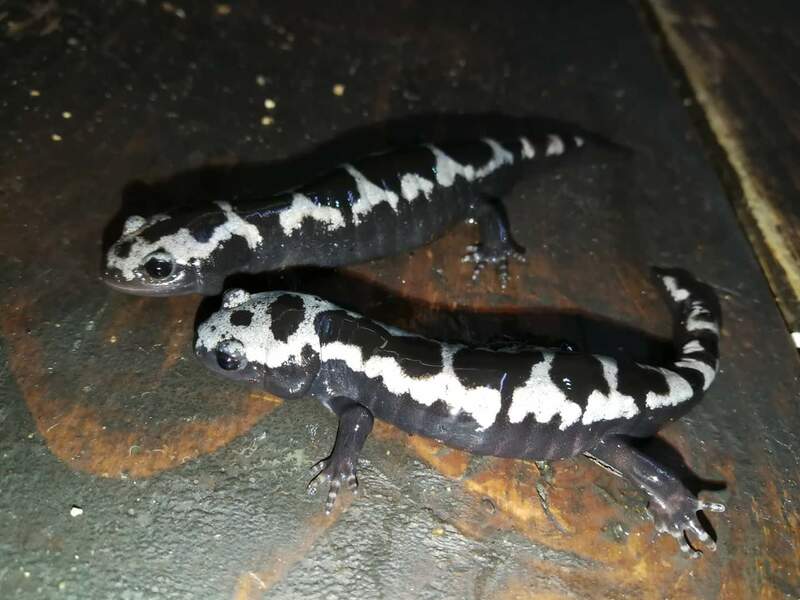 Have a terrarium set to hopefully breed these so my female will be going in that, am I tight in thinking these two youngsters are both males? Was hoping for a M/F/F group with the females living in a separate larger enclosure but these are the only two available. I already have a spare terrarium set up for a lone male as I've read males can become nippy and stressed when housed together. Good luck! I don't think they have been bred in captivity very often. Thanks! I followed a post on here to set the terrarium up for the female(s). I came across a very cheap long terrarium a while ago for a silly price (fully set up with a Komodo double dome and Exo furnishings) so I snapped it up with half a mind on more Salamanders! Here's the pic the shop sent me, is there a trick to embedding pics on this site as they never seem to work for me? Both look like males to me but I'm no expert, the rear one looks a little duller and plumper with a stubbier tail but that might be perspective and lighting, they're both very young at the moment. My female is definitely a much duller grey colour.